Front View - Large deck with a picnic table, iron table and chairs, BBQ pit for grilling and an in-deck hot tub! 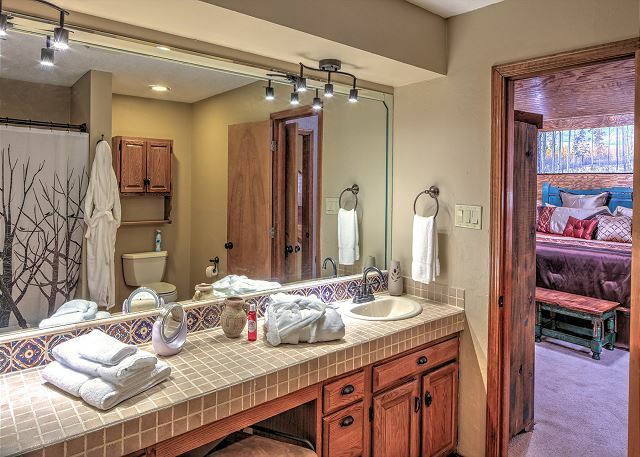 Master bathroom. Double sinks, tub/shower combo with seated makeup area. 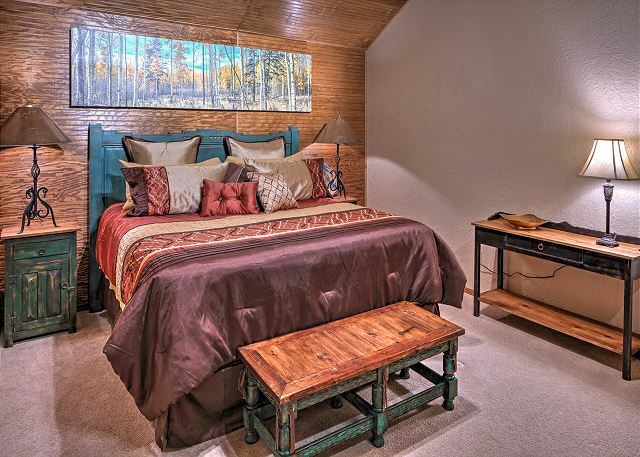 Nestled in the woods on a quiet street in Alto, this spacious 3 bedroom, 2 full bath modified A-frame home with wrap around deck and hot tub is cozy and warm. 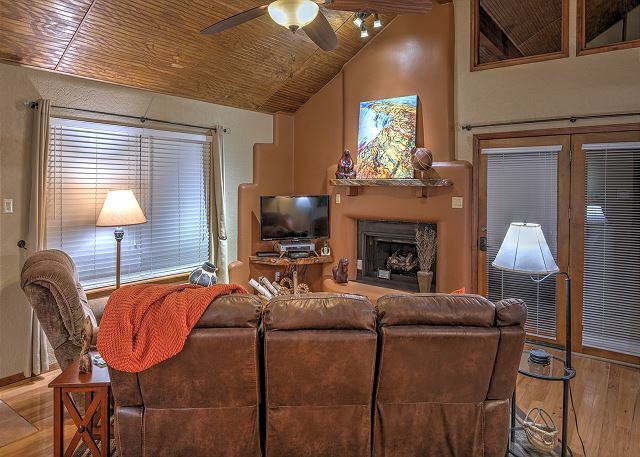 Filled with natural light, it offers a gas fireplace, comfortable living room, fully equipped kitchen and plenty of room to spread out and enjoy nature. 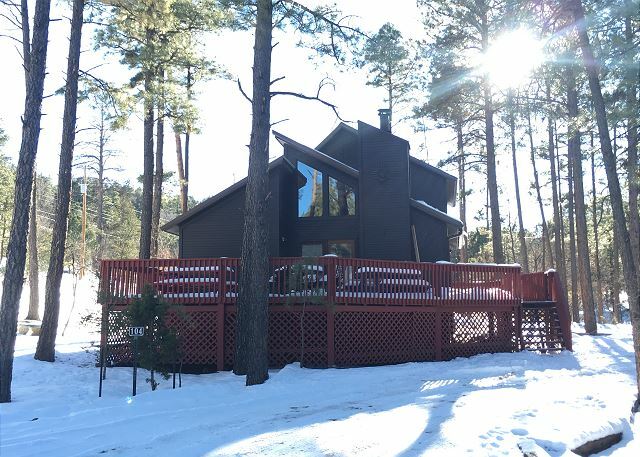 Situated on about ½ acre, you’ll feel like you’ve escaped into the woods but you are only a couple of miles from the middle of town and only about a mile from the Ski Apache turn off. This beautiful home can sleep 6 people comfortably in beds. 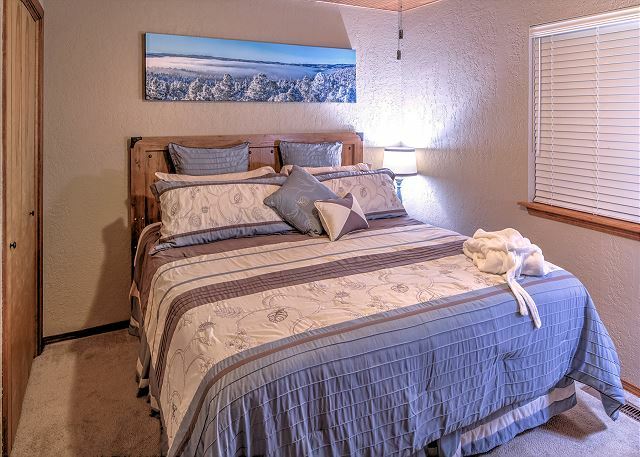 There are 2 bedrooms equipped with king sized beds and one with a queen size! Great for couples traveling together or perfect for families. 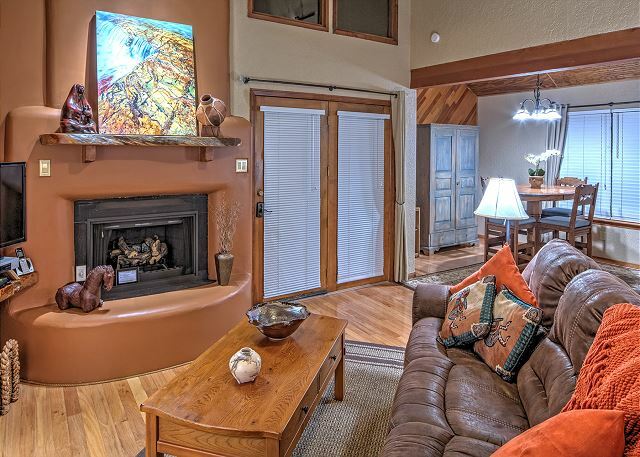 We'll be staying at a 2 Ruidoso Redheads LLC property again real soon. Our philosophy is, if your services are local, the service is always better. 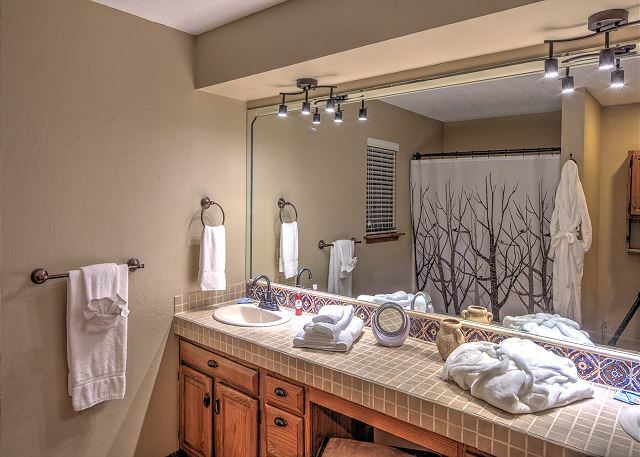 We appreciate the quick responses, ease of renting, and very clean amenities. Telling all our family members and friends! This was an excellent weekend get away, in a very nice appointed cabin. Very comfortable, clean and pleasant cabin. Wonderful home, very clean, perfect for our family to spread out a little, and close to everything. Appreciated all the little extras too! 2 Ruidoso Redheads welcomed us to the property as if we were getting the same service at the Ritz Carlton. Fresh flowers, cheese platter and towels folded as if we were on a cruise were only some of what made our trip a wonderful experience. The property was SPOTLESS and I had all I needed to entertain 5 kids. We did have to add water to the hot tub upon arrival as it was very low; no big deal. I have two minor complaints; the sensor lights by the front door did not work so it made it difficult to get into the house at night. Disposing of trash is difficult when checking out. I made 4 stops before I found a dumpster that wasn’t privately owned; very frustrating. 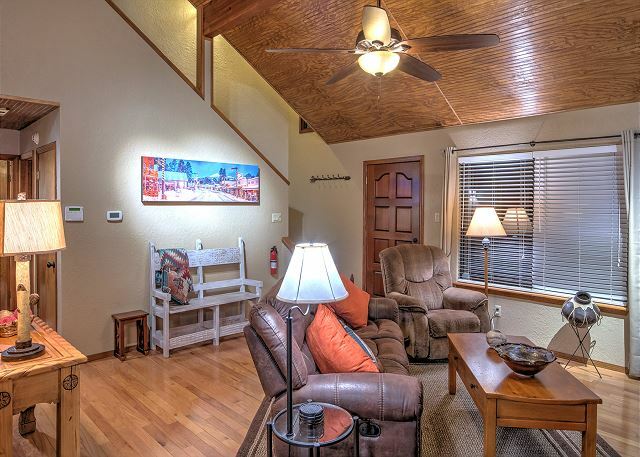 We have spent the last four New Years in Ruidoso and had several locals (friends) recommend 2 Ruidoso Redheads properties for our 2017 stay. Needless to say, we were more than happy with the property as it was the nicest we have stayed in over the four years. Management was very easy to work with and booking could not have been easier. I would recommend their properties to anyone planning to stay in Ruidoso. 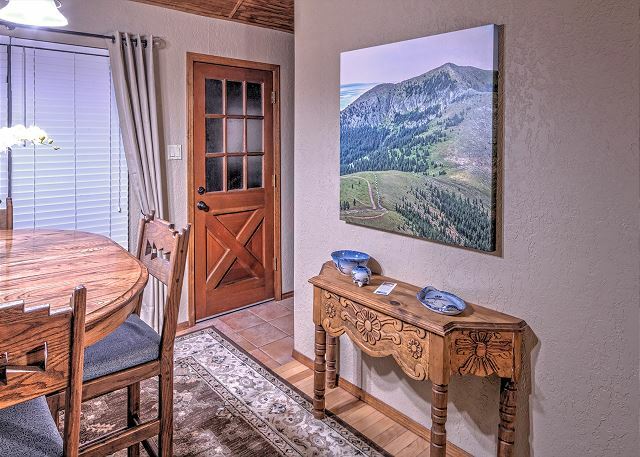 A fabulous family mountain get away! 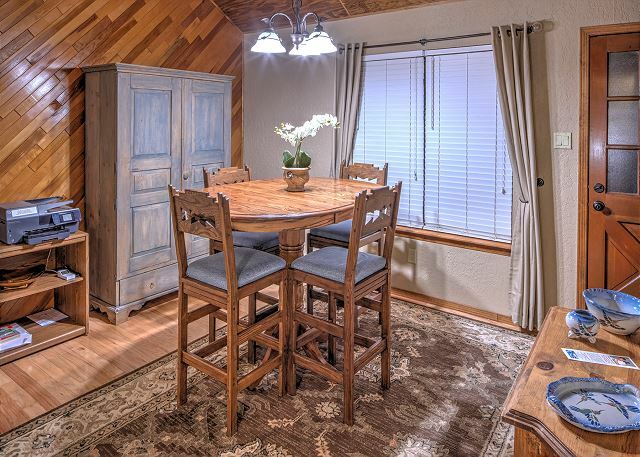 This three bedroom, cozy cabin was the best combination of charm and function for our large family. It was outside of the village, but just the right distance to have ease of access to anything we needed/wanted. The kitchen was perfect for cooking a few meals. We loved the hot tub and played family games in front of the fireplace. 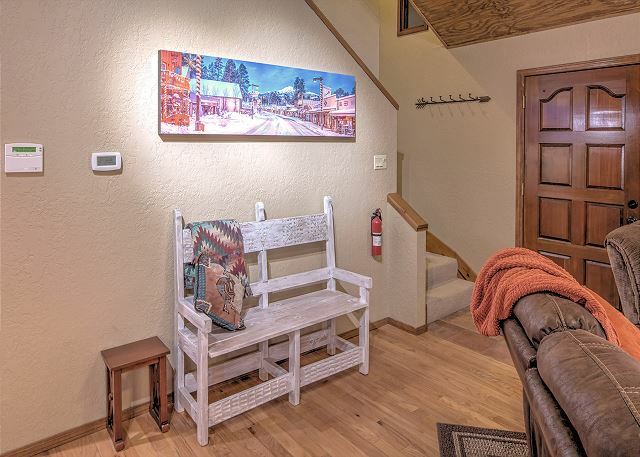 This cabin is charming and very homey. It was in a beautiful and very quiet location. It was beautifully decorated and spotlessly clean. The deck and hot tub are the perfect place to relax. We will definitely want to come here again! Our second stay at Mountain Haven. Perfect for our family. Away from the busy downtown traffic. Still close to needed resources. Love sitting on the huge deck watching the deer and elk each evening. Mountain Haven is a very clean and roomy cabin located in Alto. We love the location because it is quiet but not too far from places to eat or shopping. The deck is our favorite spot of the cabin, we love to sit in the hot tub at night after a day of hiking. We have stayed here two years in a row and loved it and had excellent service from the management. It's such a wonderful touch to have fresh fruit infused water and a fruit tray waiting for you when you check in to the cabin. We will be back again! 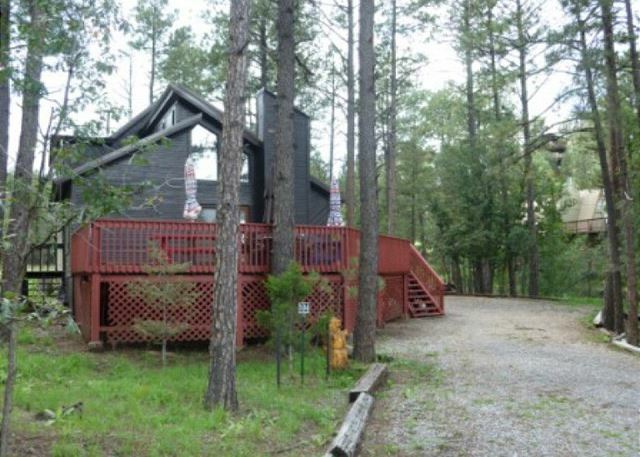 This house is in a GREAT location near Bonito Lake, Ruidoso and Ski Apache, cell service was spotty in the house but there is wifi that worked perfect! Lots of fun outside too! Grill and hot tub were loads of fun. We are so glad you chose us for your home away from home! 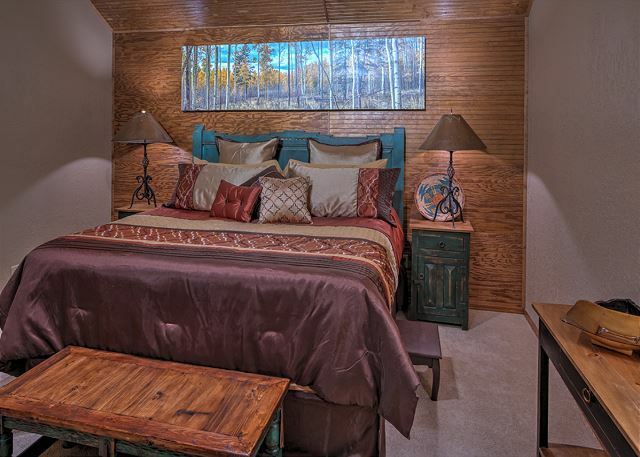 The location of Mountain Haven IS great and it is nestled away in the pine trees. So glad you were able to enjoy the hot tub and deck! Please come back and see again soon! We had a wonderful stay at this location. 2 Ruidoso Red Heads went above and beyond to insure a pleasurable stay. The home was clean, very well appointed and the property manager was totally responsive to all inquiries. I would highly recommend any 2 Ruidoso Red Heads property. Trina had tons of recommendations from where to rent ski equipment to where we should eat each night. I couldn't recommend 2 Ruidoso Red Heads and their properties more highly. They went above and beyond expectations by providing robes, premium linens and a well apppointed kitchen. We lacked for nothing. It was like staying at a friend's home. We are so glad you enjoyed your stay with us!!! These are the reviews we love to see and the reason why we do what we do. Customer service is so very important and making you feel special and ensuring that you have a relaxing retreat is our goal. We look forward to seeing you again in the future!! Really nice home! Very modern! Thank you for choosing 2 Ruidoso Redheads as your retreat. We are glad you enjoyed your stay and hope to serve you again in the near future!